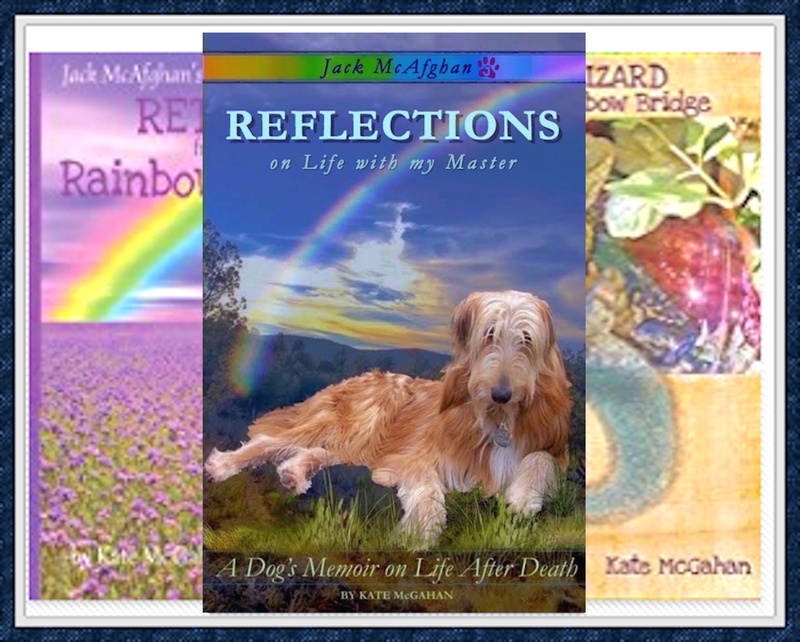 Kate McGahan: Life is the School Love is the Lesson: Lizard Chapter 5: THERE HE IS AGAIN! 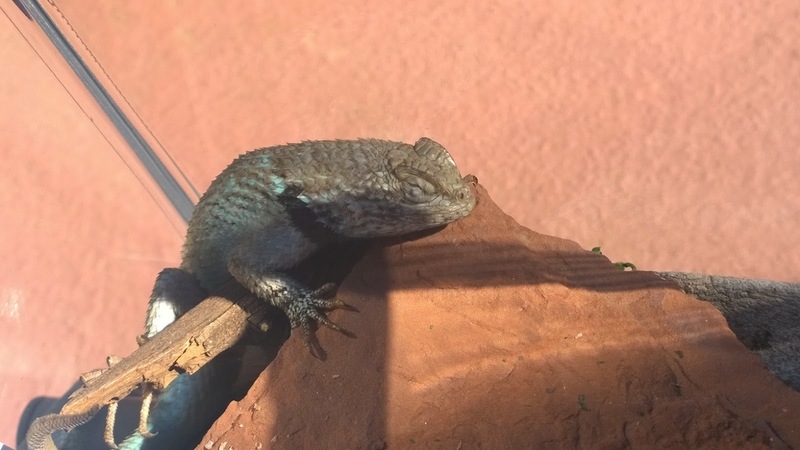 Lizard Chapter 5: THERE HE IS AGAIN! 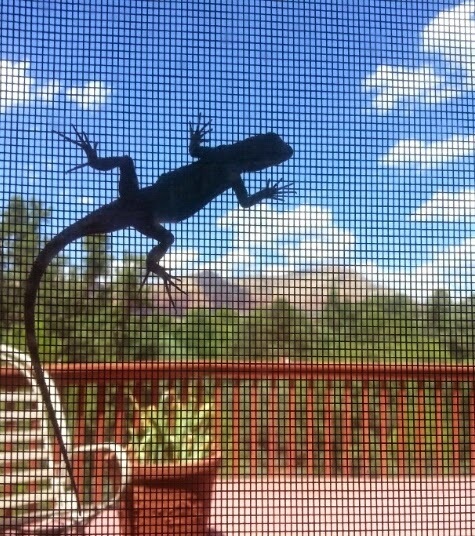 I was really surprised one day when I saw him clinging to the screen door on the back patio. A lot of time had passed because I had grown from a puppy into a dog and I was twice as big as I was last time I saw him. I didn't need to ask myself if it was him. It was him. He had a presence that no other lizard possessed. He was clinging to the screen only because he wanted me to know that he was there. He moved around until I saw him and then he just sat there and talked to me. He told me very calmly of the adventures he had experienced in the natural habitat that surrounded our house. He told me how he traveled several miles into the national forest but that every once in awhile he would think of us and know that he had to come back to see us. He told me to keep special watch over Kate in the days ahead and to always be sure to come into the house when the coyotes would come near the house. Of course I knew to do that, but it was endearing that he was so protective of us. I told him I appreciated him and it was not long after that he was gone again.